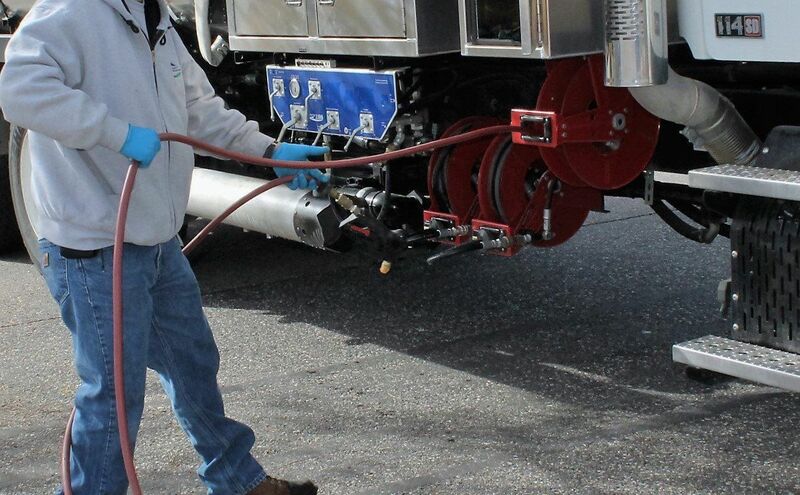 - Independent lab studies show the Vanguard System kills and/or removes up to 98% percent of all bacteria and viruses found on the jet hose, which is the most commonly handled piece of equipment found on a sewer truck. Common sense tells us if we reduce the worker's exposure to these pathogens, we reduce the opportunity for infection and illness. - All it takes is the click of a button to turn the Vanguard System on or off. - Many sewer workers wash their own work clothes; therefore, the home laundry process exposes their family to whatever they bring home. 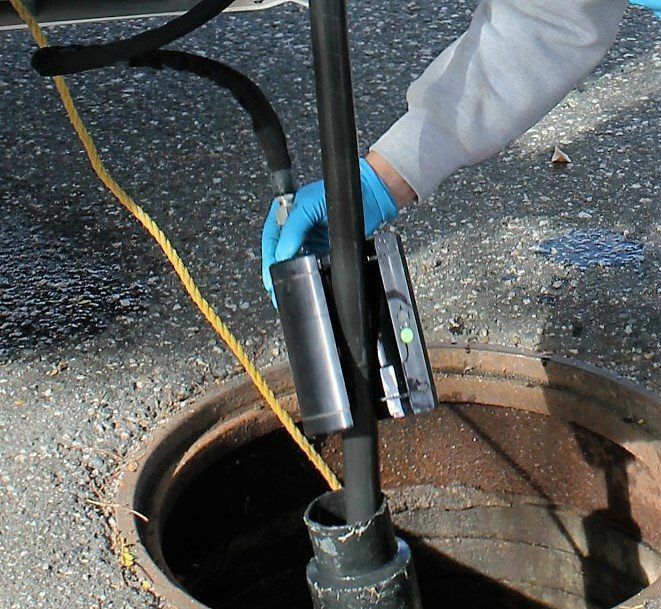 Because the Vanguard System significantly reduces sewer worker contact with wastewater, it keeps work clothing significantly cleaner, and, consequently, much safer. 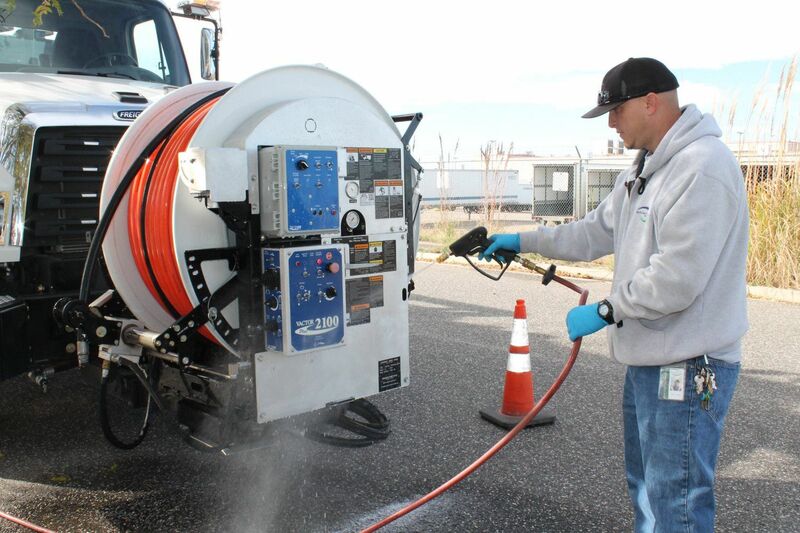 - The Vanguard System easily converts into a spraying system with a 50’ reach. 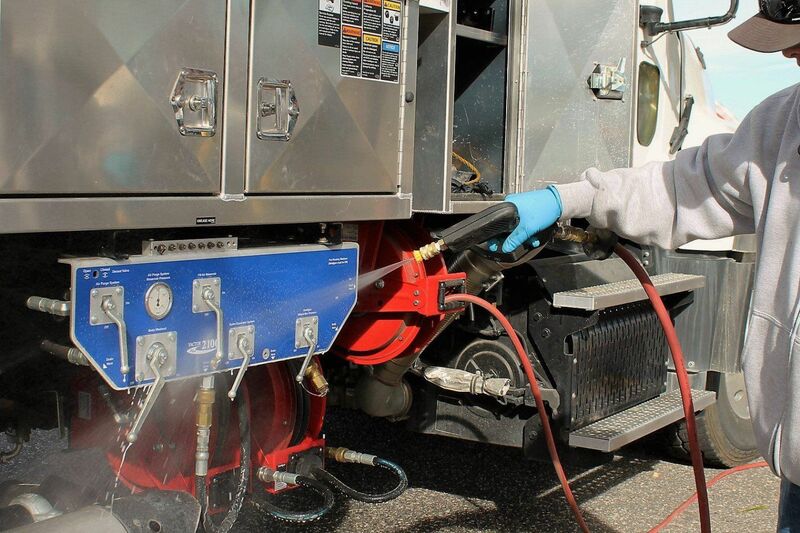 Workers can clean vacuum tubes, tools, controls, and common surfaces on their sewer truck. 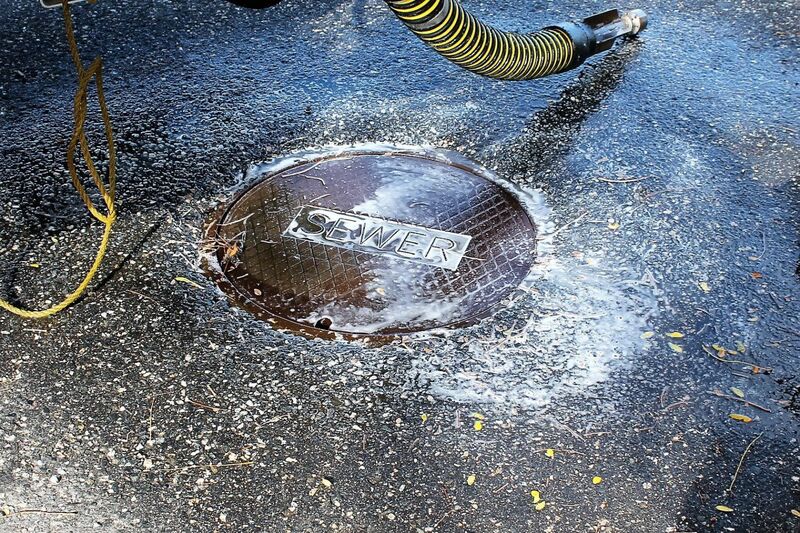 The spray system also provides the water volume, cleaning, and killing power required for effective SSO clean up. 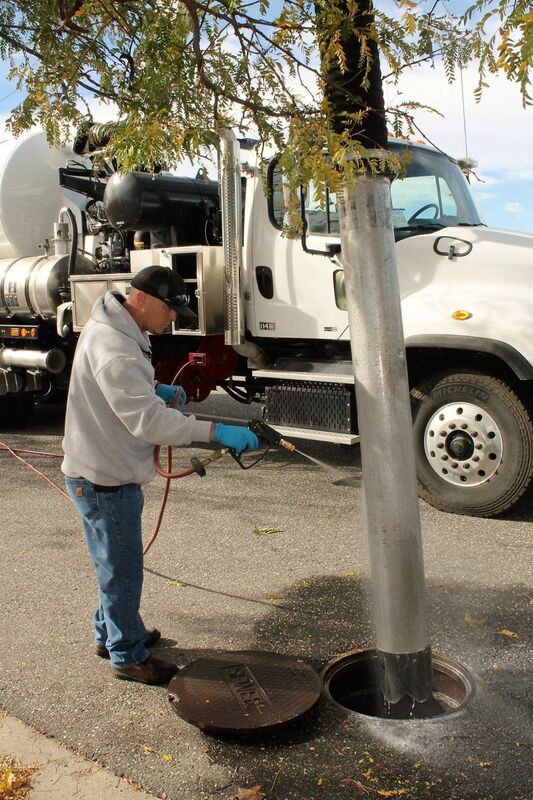 - Sewer trucks equipped with a Vanguard System protect the environment by eliminating hoses and cables dripping with bacteria, viruses, feces, and toilet paper from contaminating the work site. These same work sites often have children playing in or around them soon after the trucks are gone. 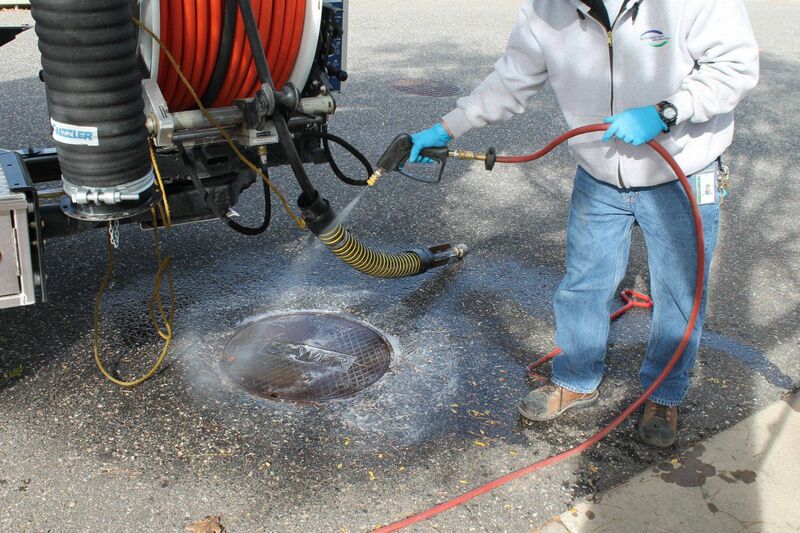 The Vanguard Pathogen Protection System is ready for any sewer emergency, whether sanitary or storm, without fear of transferring contaminants from a dirty environment to a clean one. - It only costs a few dollars per day to operate the Vanguard System. This investment is paid for by a reduction in worker sick days and potential reduction in health and liability insurance premiums. - Whether you or your Vanguard System dealer perform the installation, the modular design and complete installation kit make it possible to install the Vanguard System on any make or model of Combination, Jet, or CCTV truck in two to three hours. All nuts, bolts, washers, tubes, and fittings are included. - The Vanguard System's control box is “NEMA 4” rated and built to stand up to a harsh environment. Is cold weather a problem? 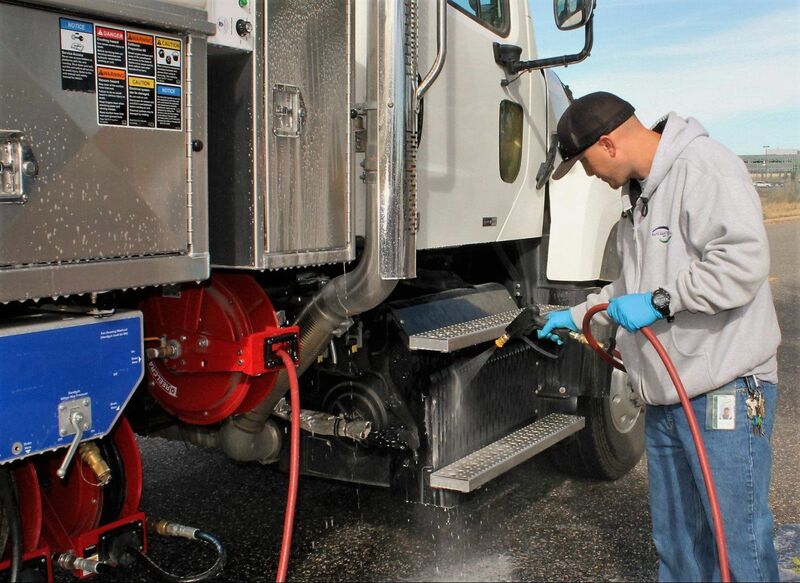 The Vanguard System has a “blow out” feature that quickly evacuates all fluids from the system. In addition, Sani-Solution™ is rated to -30° fahrenheit. 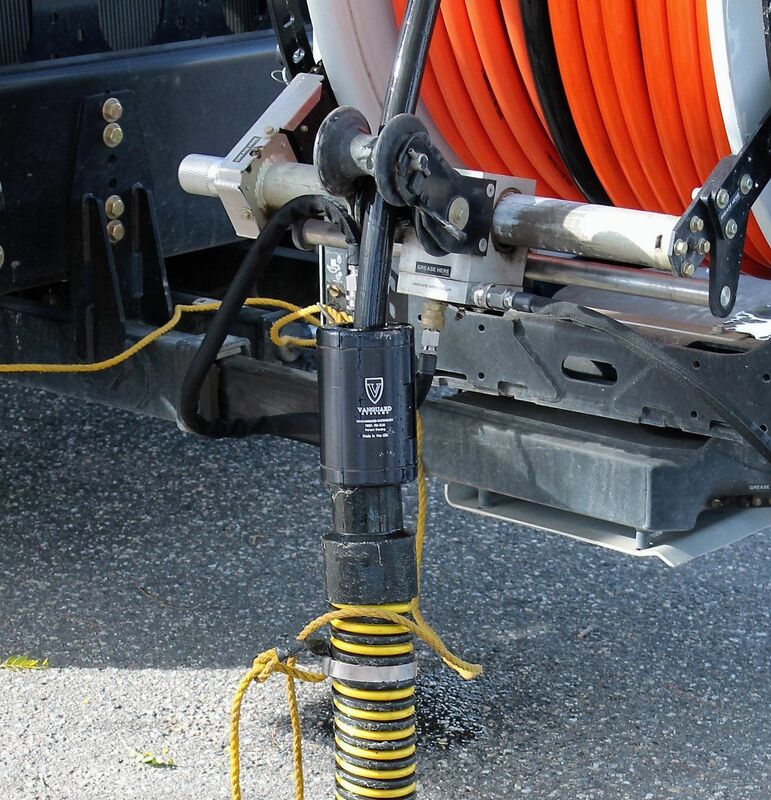 - The Vanguard System’s cleaning collar is made from "6061" aircraft aluminum. This lightweight, yet extremely strong material, allows the collar to remain easy-to-use throughout the workday, while tough enough to take a daily beating and get the job done for many years to come. - Constructed from stainless steel "6061" aircraft aluminum, and the highest quality electrical and mechanical components, the Vanguard System is trouble free and built to last – proudly made in the USA.